While much of the world moves toward compassionate drug policy reform, a populist would-be dictator has led one country cruelly backwards. Since taking office, President Rodrigo Duterte of the Philippines has orchestrated a brutal campaign of extrajudicial killings, mainly as part of his "drug war." Credible estimates for the number of dead range from at least 12,000 to well over 20,000 and rising since mid-2016. Ominously, a "Duterte effect" in the region has led to extrajudicial drug war killings in Indonesia and Bangladesh, and high-level officials in Malaysia and Turkey have also called for killings or other extrajudicial violence. In a move that has comforted human rights violators everywhere, President Trump has praised Duterte's drug war, twice. Other abuses in Duterte's drug war have affected hundreds of thousands, and killings of activists, priests, even mayors are growing as well. Duterte is aggressively attacking his critics and the nation's democratic institutions as he seeks to bring about dictatorship. If he succeeds, there's no knowing where or how far the killings may go. We at StoptheDrugWar.org ask your help in stopping this drug war tragedy that threatens global human rights. Our work on the Philippines flows from advocacy at the United Nations since late 2014. As part of a global community of reform-minded NGOs, we call for people-centered approaches to drug policy governed by human rights. Initially this aimed at the April 2016 UN General Assembly Special Session on the World Drug Problem (UNGASS). When Duterte was elected and the Philippine slaughter began, we turned our attention there. a powerful video for our March 2017 UN event. The pro-Duterte forces have noticed us. Duterte allies including the (now former) Speaker of the Philippine House of Representatives have attacked Philippine opposition leaders for working with us. Orchestrated online troll armies have descended on our videos. One of our events even prompted fake news stories. We are currently crafting plans for moving forward in this campaign in an even bigger way. Please subscribe to our newsletter to make sure you don't miss any announcements about it. If you have a particular interest in the Philippines and want to be in touch about this, please email us. 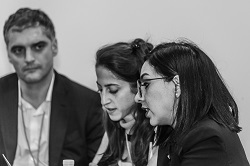 Under the auspices of our UN-accredited 501(c)(3) nonprofit, DRCNet Foundation, we organized events in conjunction with the 2017 Commission on Narcotic Drugs (CND) meeting at the UN in Vienna, the 2018 CND meeting, and the 2018 High Level Political Forum on Sustainable Development at UN Headquarters in New York. embedding it from our YouTube account. Vienna 2017: Our March 2017 event, coorganized with the Manila-based Council of Asian Liberals and Democrats, drew massive attention in the Philippines, due to a speech by video from Philippines Vice President Leni Robredo that led to unfair attacks on her by Duterte allies and an (ultimately unsuccessful) impeachment drive. The video also garnered US and international coverage. Robredo's video strongly criticized Duterte's drug war, as well as Duterte-led moves in the Philippines Congress (also so far unsuccessful) to reinstate the death penalty, including for drug offenses, and to lower the age of criminal liability to nine. We released the video on Monday March 13, three days before our event, offering TIME magazine the exclusive first posting. TIME followed up with an interview with Robredo. Along with extensive coverage in Philippine mainstream media, discussion of the video trended on Twitter, and was covered by wire services and outlets throughout Asia and the Gulf. Unfortunately though not surprisingly, Duterte's forces hit back. The Speaker of the Philippine House of Representatives and the president's Spokesperson both claimed the vice president's office (OVP) must have timed the video's release to coincide with other events that week. They principally pointed to an impeachment complaint a congressman filed against Duterte the day after we released the video, as well as a resolution in the European Parliament calling for the release of Duterte critic Sen. Leila de Lima. They presented this as evidence Robredo was engaged in a "destabilization campaign" against the government. video to attack her politically. The political heat that Robredo, a human rights lawyer, took for participating in our event is unfortunate. But she has continued to speak out against the killings, and has recently moved again into a forceful opposition role. Recent polling finds the popular vice president becoming even more popular. News reports on our event, the vice president's video, and its fallout, are too numerous to link here, and media continue to refer to them when discussing the vice president's political trajectory. A recent example is this analysis in the prominent Philippine news outlet Rappler, at the time of this writing ranked as the 12th more read web site in the Philippines. We post here a selection of key news links, as well as links for video footage of our entire event and other resources. Event footage is available online here. Along with the Robredo statement and an Amnesty International video, it includes presentations by Chito Gascon, Chairperson of the Commission on Human Rights of the Philippines; Abhisit Vejjajiva, former Prime Minister of Thailand and current chair of event cosponsor the Council of Asian Liberals and Democrats (video); Lousewies van der Laan, former leader of the Dutch D66 party (Skype); Alison Smith, lead counsel and head of international criminal justice programs at the NGO No Peace Without Justice; Marco Perduca, former Senator from Italy and a member of our board of directors; and a written statement from US Rep. Earl Blumenauer (D-OR). We also have transcripts and a detailed summary. van der Laan (on Skype). Reuters: Philippine VP decries Duterte's drug war tactics in video to U.N. The Philippines' largest broadsheet newspaper and 8th most read web site in the country as of this writing, The Inquirer, interviewed our executive director David Borden, as well as fellow event speaker Alison Smith, two weeks after the event. The interview, titled "Group says Duterte, not Robredo, upsetting int'l community," was widely read, shared by Inquirer readers nearly 9,000 times. A transcript of the video is posted on Vice President Robredo's web site. In a sign of the times, the day before our event when Senator Trillanes arrived at the UN, President Duterte transmitted one-year notice of the Philippines withdrawing from the International Criminal Court, in retaliation for the ICC's preliminary investigation of his drug war. The night before our event, prosecutors in the Philippines indicted the senator on a spurious sedition charge. read Senator de Lima's statement. Alessandro de Luca also pictured. 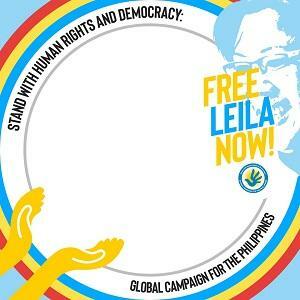 Senator Leila de Lima contributed a written statement to our event as well. Joining Senator Trillanes as featured speaker was Ellecer Carlos, well-known spokesperson for the iDEFEND Philippine human rights coalition. 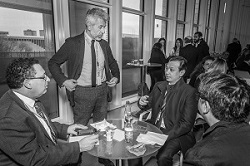 The event was again co-moderated by David Borden and Marco Perduca. Roughly 70 people attended, many forced to stand outside the 30-person capacity meeting room. Attendees represented a range of governments, UN agencies, NGOs, and members of the local Filipino community. In another sign of the times, Filipinos working in Vienna attended our event, including both supporters and critics of President Duterte. One member of the "Die Hard Duterte Supporters contingent (DDS -- a play on the infamous "Davao Death Squad" Duterte operated as mayor) challenged Senator Trillanes on the number of killings during the discussion time, while others videorecorded. The pro-Duterte media forces selectively edited the video in order to create an appearance that Trillanes didn't have an answer for him (as the senator and his staff had predicted). 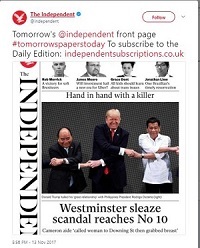 An example from a local newspaper in the Philippines appears here. Our Facebook Live video shows that Senator Trillanes did respond, however, and that the encounter was a civil one. The two spoke at length following the event. Our visit to the UN cafeteria the day before the event led to a series of misleading and fake news stories. 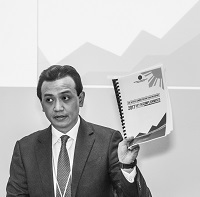 A Filipino cashier noticed Senator Trillanes was wearing an NGO badge, rather than one issued by the Philippines' Mission to the UN, and sent a picture to a pro-Duterte blogger. The blogger's post, which misidentified us as a Filipino American NGO, is online here, and has over 7,700 shares. 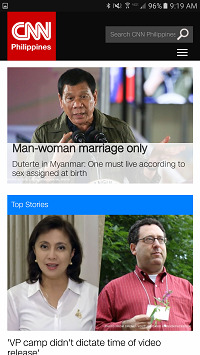 An article posted on two Philippines-focused sites (here and here) "confirmed" that the senator had entered the UN through our auspices. This information in these pieces isn't fake per se, but they attempt to imply a scandal or problem where there was none. A fake news story followed on the blog post, includes a photo of us on the lunch line with Trillanes, but claims falsely that the senator was "scolded" by a UN security guard who told him to "eat last." A follow-up fake news piece features a fabricated statement attributed to our organization. A third piece by the same writer provided video from our event of a Filipino Duterte supporter contesting Trillanes' information, but implied falsely that the senator fell silent instead of responding to him. New York 2018: On July 16, we hosted the third event in the series, "Human Rights Challenge: Judicial and Extrajudicial Killings in a Time of Authoritarianism," expanding the scope of the discussion to include the death penalty for drug offenses. The event was held at the Church Center of the United Nations, in conjunction with the UN High Level Political Forum on Sustainable Development. Prominent opposition leader Senator Risa Hontiveros of the Philippines provided a video for our event, calling for international solidarity for human rights and an end to Duterte's drug war. The two hour event also featured Professor Jason Wright of the Washington & Lee Law School, speaking on behalf of the California-based group Death Penalty Focus; and Justine Balane, International Secretary for Akbayan Youth in the Philippines, via Skype. The largest Philippine news outlet, ABS-CBN, filmed the event, and a report ran on their US station, Balitang America. 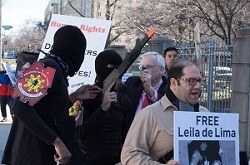 For the one-year mark of the jailing of Duterte critic Senator Leila de Lima on spurious drug charges, we organized a protest at the Philippine Embassy in Washington, DC. 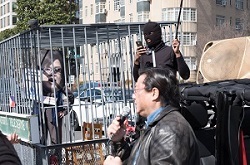 The event featured street theater with Duterte and Philippine National Police figures arresting Senator de Lima and pretending to shoot attendees. 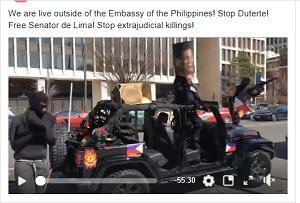 Allies in the Philippines helped to promote the event's Facebook Live video stream, and it went viral in the Philippines, with nearly 470,000 views as of this writing. 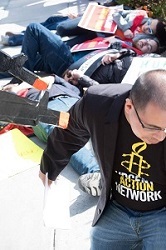 Among our cosponsors in the action were Amnesty International, the Filipino American Human Rights Alliance and the Ecumenical Advocacy Network on the Philippines. 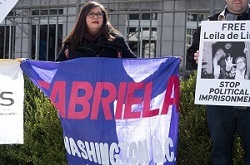 Other Philippines-focused groups such as Gabriela-DC and the International Coalition on Human Rights in the Philippines-US were participated as well. The event represented a step for Philippines-focused groups with various different ideological roots working together. Video of the action went viral in the Philippines, and has garnered nearly 470,000 views. Since that time our executive director, David Borden, has been a go-to person about the drug war for demonstrations organized by Filipino American groups. 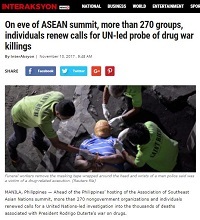 In the lead up to the November 2017 Summit of the Association of Southeast Asian Nations (ASEAN), which was hosted by Duterte in the Philippines, we organized a global sign-on statement which calls for a UN-led investigation of the drug war killings; for the leaders of ASEAN member states and other world leaders attending to speak up about the issue; and for international aid donor governments to impose human rights conditions on law enforcement assistance to the Philippines, while funding positive programs that could serve as an alternative to the Philippine drug war, and funding the work of human rights advocates. Nearly 300 NGOs and prominent individuals endorsed the statement. Of the 240 NGO endorsers, more than 50 are based in Asia, including a majority of ASEAN member states as well as India, Pakistan and Sri Lanka. There are also several Asia-wide networks devoted to issues such as HIV, transgender and drug user concerns, and youth democracy activism. Some notable signatories on the document include the National Organization for Women (NOW), Doctors of the World, the Free Legal Assistance Group (FLAG, a nationwide Philippines human rights lawyers group founded during the Marcos dictatorship years), Treatment Communities of America, prominent human rights advocate and actor of MASH fame Mike Farrell, former police chief of Seattle Norm Stamper, and others. A political component of the statement's outreach efforts, which was in its early stages at the time of the statement's release, secured endorsements from legislators in Canada, Italy, Cambodia, and Washington State, as well as other political and governmental officials from Singapore, Canada and the UK. The Interaksyon article credited our coalition with renewing global calls for a UN-led probe into the drug war killings. A bipartisan bill in the US Senate, "The Philippine Human Rights Accountability and Counternarcotics Act of 2017," would enact human rights conditions on some law enforcement assistance to the Philippines, based on certifications by the US State Dept., while funding public health programs to address substance issues as well as human rights work. There is similar language in the current version of the Senate Foreign Operations Appropriations bill. We are working with a coalition that includes Filipino American organizations and faith networks, to pass this legislation as part of the upcoming appropriations process, or if not then later during the 2018 session of Congress. 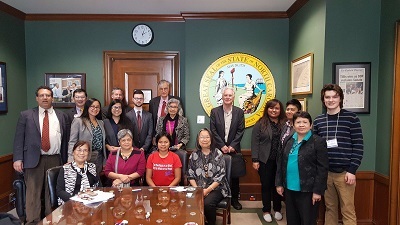 In April 2018, StoptheDrugWar.org's executive director David Borden was invited to join a lobbying group that included advocates visiting from the Philippines as part of the Stop the Killings Speaking Tour 2018 of the Caravan for Peace and Justice for the Philippines, as well as representatives of Filipino American organizations, faith groups participating in the Ecumenical Advocacy Days the weekend before, and others. Key organizers of the lobbying effort were the Ecumenical Advocacy Network on the Philippines and the International Coalition for Human Rights in the Philippines US Chapter. Borden is regularly asked by Filipino American advocates to address the drug war in meetings and demonstrations. An update and action alert we published is online here, and includes information on what the most key states and congressional districts are. We have a write-to-Congress form supporting S. 1055 online here. We view this legislation as important not only for its potential impact on the Duterte administration's political cost-benefit analysis on this issue, but also because of the inconsistent approach to the matter taken by the current US administration. While the State Department has raised some concerns about the drug war killings, President Trump has made comments which seem to green-light them. Specifically, in December 2016 Trump and Duterte spoke on the phone, after which Duterte claimed that Trump praised his drug policies. While Duterte could have made that up, the Trump team never rebutted the claim. After Trump and Duterte spoke again in April 2017, a statement on the White House web site said they discussed " fighting very hard to rid its country of drugs," with no qualification of that statement to exclude extrajudicial killings from Trump's apparent praise. A transcript of the April conversation leaked to Rappler quotes Trump congratulating Duterte for doing an "'unbelievable job' in the war on drugs." Finally, Trump was silent about the issue during his appearance at the ASEAN Summit, at least publicly. A White House spokesperson said that Trump and Duterte talked briefly about human rights, but did not elaborate. Duterte has recently claimed that a White House visit is in the works, pending scheduling. As the above sections show, we have actively sought partners in this campaign, both in the Philippines and in the Filipino American community, including groups spanning a range of the ideological spectrum. But we have also sought to bring others in to the effort -- from drug policy reform, international criminal justice advocacy, the anti-death penalty movement and others. 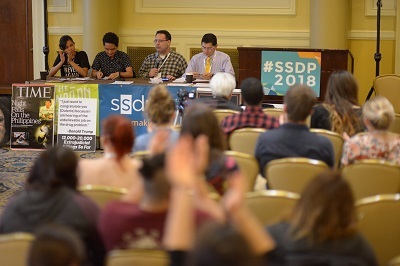 In March before heading to Vienna for our event with Senator Trillanes, we organized a panel for the Students for Sensible Drug Policy conference in Baltimore, "Human Rights Challenge, Responding to extrajudicial killings in the Philippines." Our panel featured Eric Lachica of US Filipinos for Good Governance; and Shamah Bulangis and Justine Balane, National Secretary General and International Secretary respectively of Akbayan Youth, who are also SSDP Ambassadors for the Philippines. 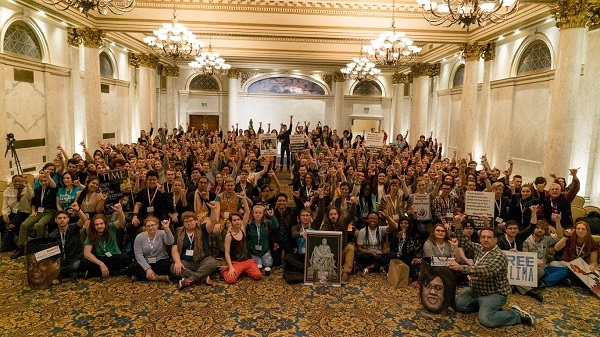 The panel was well attended, and following it, we brought signs from Philippines-related demonstrations (our 2/28 embassy protest and others) to the plenary hall, where conference attendees, following a group picture, took a second group pictures with the signs, while holding hands up in a Philippines protest symbol. The photo, posted to Facebook by an attendee, went viral in the Philippines. The energy of the event and level of interest in this campaign that was shown there, following our successful protest a week earlier, makes us believe that a larger movement can be built on this issue, capable of bringing greater pressure on the Duterte administration over the killings. Please subscribe to our email list to be updated as plans progress, and feel free to contact us directly in the meanwhile. These efforts, which continue into 2018, are part of a global drug policy reform program StoptheDrugWar.org has pursued decisively since fall 2014. Much of that involves the United Nations, and our 501(c)(3) US nonprofit organization, DRCNet Foundation Inc., is an accredited NGO in Special Consultative Status with the UN's Economic and Social Council (ECOSOC). Our international drug policy program is headed by our founder and 24-year executive director, David Borden, who tweets as @stopthedrugwar, and who starting in the near future will tweet on Philippines matters as @BordenUNEventPH. In the near future our organization's blog and newsletter will have a significant focus on the Philippines as well. 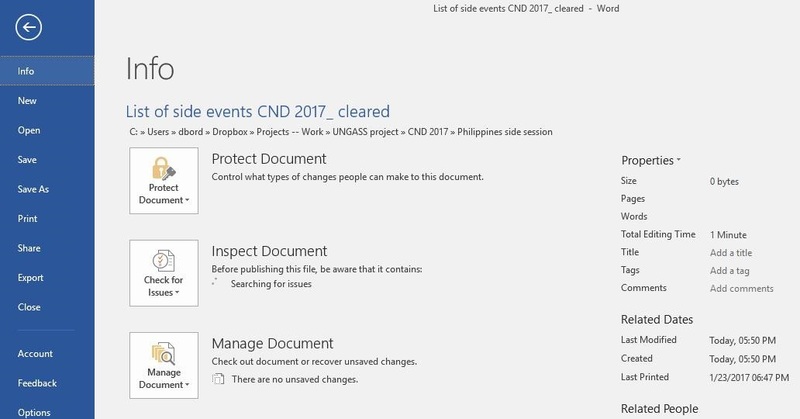 Our Philippines-related content can also be accessed through our category archive at https://stopthedrugwar.org/philippines. Beginning in the mid-1980s, Holland was the world's marijuana mecca. Under the quite sensible policy of gedogen (pragmatic tolerance), Dutch authorities didn't quite legalize marijuana but instead effectively turned a blind eye, allowing licensed retail establishments -- the famous coffeeshops -- to sell five grams or less of marijuana, and to let their customers consume the products onsite despite prohibition remaining on the books. A generation of stoners made the pilgrimage to Amsterdam, getting wrecked on hash and primo nederwiet (Dutch weed) and musing fuzzily about why their home countries couldn't be as cool about cannabis as the Netherlands. That was then. Oh, the stoners still come for coffeeshops like the Bulldog and Die Melkweg, especially weekend punters from more puritanical locales, such as Britain and France, where weed can still get you in trouble. This is the "drug tourism" the Dutch decry even as they pocket the Euros. But over the years, some of the luster has rubbed away, in part because conservative Dutch governments who were never happy with the coffeeshop scene whittled it down as much as they could, but also in part because the Dutch were standing still while the relaxation of marijuana prohibition gained momentum around the world. Uruguay legalized it. Canada legalized it. Ten American states, the nation's capital, and two US territories legalized it, with another state or two or three likely to do it this year. And this was actual legalization, not the wink-wink-nudge-nudge "it's still illegal but we'll allow it" Dutch compromise. And while no European country has completely legalized it, decriminalization is afoot in broad swathes of the continent, and Spain allows private use and cultivation, as well as "cannabis clubs," especially in Catalonia. Now, though, the Dutch are finally considering taking the next step, and that involves fixing a chronic issue for their system: the "back door problem." 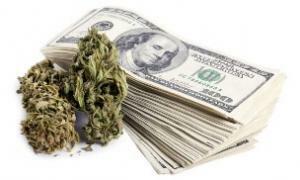 That is, while it has been allowed for the coffeeshops to sell marijuana, they have had no legal source of supply. 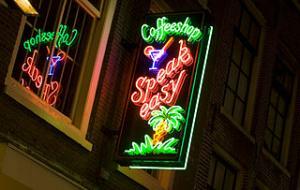 The Dutch system had no provision for the regulated provision of product to the coffeeshops. Instead, while coffeeshops could openly sell to their customers through the front door, their black market weed supplies had to sneak in the back door. A halting and limited effort to rectify the situation is now about to get underway. The coalition government announced last week that it will move forward with a pilot program in regulated marijuana production for the coffeeshops. Under the plan, the government will issue licenses to 10 growers who will each have to produce at least 10 types of marijuana product, with THC content clearly marked on the packaging. A minimum of six and a maximum of 10 local authorities will take part in the trials, which will last four years, meaning that it will be up to the next government to decide whether the Netherlands will press ahead with state-regulated production. But both the local authorities' association, VNG, and the government's highest advisory body, the Council of State, have already criticized the plan as too limited and stringent. The plan seeks to completely eliminate the black market as a source for coffeeshop product: "Coffeeshops in the municipalities which are taking part in the experiment can only sell legally-produced hemp products and growers can only sell to those shops," the plan says. "This means the entire chain will be closed." The local authorities in the country's two largest cities, Amsterdam and Rotterdam, have complained that the goal is unworkable, especially in Amsterdam, where more than a hundred coffeeshops are doing brisk business. The Council of State, meanwhile, has complained that the pilot program is too small and will not allow useful conclusions to be drawn. Still, the coalition government is moving forward with the plan and says it expects final decisions on which local authorities will be involved by the end of the year. The Netherlands is now poised to once again move into the marijuana vanguard with state-regulated commercial marijuana production, even if the government's plan is still half-baked. We will see in four years whether the country is ready to finally solve the "back door problem" and fully embrace the marijuana business. of the video in the near future at https://stopthedrugwar.org/philippines. By its very nature, the global drug prohibition regime relies on the repressive apparatus of state actors to enforce compliance, and that has severe implications for human rights. Now, a coalition of United Nations member states, U.N. bodies, and leading human rights experts has launched a landmark set of international legal standards aimed at putting human rights concerns at the center of drug policy. The human rights implications of the global war on drugs cover a dizzying array of governmental abuses of their citizens. Whether it's the mass imprisonment of drug users in the US, the death squad-style atrocities of Philippines President Rodrigo Duterte's bloody anti-drug campaigns, the spraying of herbicides on coca-growing peasants in Colombia, forced drug treatment camps in Southeast Asia, or the resort to the death penalty for drug offenses in any number of countries, the quixotic global effort to eradicate drugs has left a trail of human rights abuses. For years, human rights organizations such as Amnesty International and Human Rights Watch have championed the need to put human rights front and center when it comes to drug policy. But with the issuance this week of the International Guidelines on Human Rights and Drug Policy recognition of the necessary centrality of human rights moves from the sidelines to the very center of the global drug prohibition regime. 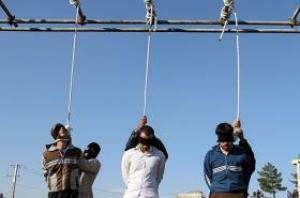 Released under the aegis of the U.N. Development Program and the Joint U.N. Program on HIV/AIDS (UNAIDS) with the endorsement of key member states, the guidelines create a comprehensive set of human rights standards to guide governments in developing drug policies that comply with basic standards of universal human rights. They also come at a key juncture in the global drug policy-formation process. The guidelines are being released as high-level governmental representatives are gathered at the Commission on Narcotic Drugs in Vienna to shape a new global drug strategy. With decades of evidence showing the systemic failures of the punitive paradigm, including widespread human rights violations, the U.N. and member states are facing a rising clamor for a shift in policy -- one that not only respects human rights but also places global drug policy in line with broader U.N. objectives. "Drug control policies intersect with much of the 2030 Agenda for Sustainable Development and the pledge by Member States to leave no one behind. Approaches that violate human rights and fail to curb the illicit drug trade are leaving a trail of human suffering," said Mandeep Dhaliwal, director of UNDP's HIV, Health and Development Group. "For countries who are ready to place human dignity and sustainable development at the heart of their drug control policy, these guidelines offer valuable guidance to promote more effective and humane drug control policy." One focus of the guidelines is criminal justice and the rule of law, and they feature recommendations across the realm of the administration of justice. Whether it's arbitrary arrest and detention, discriminatory policing practices, or drug decriminalization, the guidelines bring the global state of human rights law regarding drug policy into full view, including ending the death penalty for drug-related offenses. Drug decriminalization gets particular attention. The guidelines note that at least 25 national governments have decriminalized the possession of drugs for personal use and that the U.N. system has jointly called for drug decriminalization as an alternative to arrest, conviction, and punishment of drug users. "Punishment and exclusion have been instrumental to the war on drugs" said Judy Chang, Executive Director of the International Network of People who Use Drugs. "The time has come to privilege human dignity over social isolation and champion human rights, putting an end to the shameful legacy of mass incarceration." But the guideline encompass more than criminal justice; they also make clear that a human rights emphasis is key in improving people's rights to health, an adequate standard of living, and to be free from torture. The guidelines say that states are obligated by their health obligations to ensure the availability and accessibility of harm reduction services, such as needle exchanges and safe consumption spaces. Those services must be adequately funded, appropriate for the needs of vulnerable groups, and respectful of the human dignity of their clients, the guidelines say. "Ninety-nine percent of people who inject drugs do not have adequate access to harm reduction services and are left behind in progress against HIV," said Michel Sidibé, Executive Director of UNAIDS. "More than 12 percent of people who inject drugs are living with HIV and over half have hepatitis C. The only way to advance progress is to put people at the center, not drugs." The guidelines also emphasize the importance of protecting the rights of farming communities -- especially women -- even to the extent of urging governments to temporarily permit the cultivation of illicit drug crops to allow farmers the chance to make a smooth transition to alternative crops. They cite Thailand's success in helping farmers move from opium production to alternative livelihoods. Issuance of the guidelines will help member states, multilateral organizations, and civil society in their fight to help the rights-supporting U.N. Charter and Universal Declaration of Human Rights assume their deserved central role in the formulation of both international and national drug policies. For too long, globally accepted human rights standards have been sidelined by repressive approaches. "Human rights should not just inform critiques of the response to drugs worldwide, they should also be the main drivers of its reform, underpinning checks and balances to break cycles of abuse" said Julie Hannah, Director of the International Centre on Human Rights and Drug Policy, University of Essex "Fighting inequality and injustice is a more effective way of addressing the global drug problem than prisons and police." San Francisco moves to expunge more than 9,000 pot convictions, Rhode Island's attorney general wants to defelonize drug possession, Peruvian farmers are leaving the coffee fields for the coca fields, and more. Baltimore Mayor Pressed to End Marijuana Arrests. Fourteen local advocacy groups have sent a letter to Mayor Catherine Pugh urging her to direct the police commissioner to stop arresting people for small-time pot offenses. The letter comes after Baltimore State's Attorney Marilyn Mosby announced a new policy of not prosecuting such cases, only to have interim Police Commissioner Gary Tuggle, a former DEA agent, refused to order police to stop making the arrests. Tuggle is gone now, but it's unclear what his replacement, Michael Harrison, will do, thus the letter to the mayor urging her to lead on the issue. San Francisco Will Expunge More Than 9,000 Marijuana Convictions. City prosecutors announced Monday that they would move to expunge some 9,300 marijuana possession convictions dating back to 1976. The move comes after a yearlong review of pot convictions in the city. The effort was bolstered by the city's decision to work with a Code for America, a nonprofit that uses technology to make government more efficient. Coders created an algorithm that combed through the city's decades worth of criminal records in minutes—and automatically filled out the required forms to be turned in during the expungement process. West Virginia House Approves Drug Treatment Bills. The House on Monday passed two bills related to drug treatment and amended a third. HB 3132 exempts certain providers from some of the medication-assisted treatment licensing requirements. HB 3133 would mandate that probationers with history or symptoms of addiction to attend support services for at least 60 days. The bill that was amended was HB 2991, which authorizes the continuation of an addiction prevention and recovery fund. That bill requires any proceeds from settlements with drug manufacturers or distributors to go into the fund; the amendment would allow state agencies to recover reasonable administrative costs. 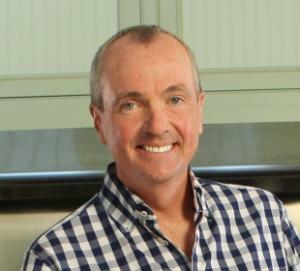 Rhode Island Attorney General Plans Bill to Defelonize Drug Possession. State Attorney General Peter Neronha has announced plans to introduce legislation that would make possession of up to an ounce of any drug other than marijuana a misdemeanor. "There is a significant difference between those who traffic in drugs and those who possess them," explained Neronha at a press conference at the attorney general’s office in Cranston. "I learned how difficult it is for somebody getting out of prison, or somebody with a felony conviction to get back into the workforce. To get housing. To get back on their feet," he said. UN Commission on Narcotic Drugs Delays Vote on WHO Marijuana Rescheduling Recommendation. The Commission on Narcotic Drugs will not vote on the World Health Organization's marijuana recommendations during its March session in Vienna That news comes after the release of the recommendations, which had been expected in December, was delayed. Several counties asked for more time to consider the recommendations saying they only received the rescheduling recommendation in late January. If the recommendations had come out in time, countries would have had three months to study them before the Vienna meeting. Peru Farmers Are Abandoning Coffee Crops to Work in Coca Fields. Slumping coffee prices and delays in certifying organic beans are pushing Peruvian coffee growers out of the business and into the coca fields, the country's main coffee growers' association said Monday The Junta Nacional del Café said farmers started migrating to coca growing regions in December and hundreds have since abandoned their coffee fields. "Coffee ... exports are in real trouble, and we lack the support of the government with clear actions to overcome them," said the JNC’s head, Tomas Cordova. "This foments poverty, unemployment and the expansion of illegal crops." In the past few years, the powerful synthetic opioid fentanyl and its derivatives have been the primary driver of the drug overdose death epidemic. A wave of addiction that began with prescription opioids two decades ago and morphed into one driven by heroin after the crackdown on pain pills one decade ago has now clearly entered a third phase: the era of fentanyl. Beginning in about 2014, fentanyl-related overdose death rates skyrocketed as Chinese chemical manufacturers and Mexican drug distribution gangs began flooding the country with the cheap, easily concealable narcotic—and not through unwalled borders but through points of entry and package delivery services, including the U.S. Postal Service. By 2017, fentanyl was implicated in some 28,000 overdose deaths, more than either heroin or prescription opioids, and involved in nearly half of all overdose deaths. The responses have ranged from the repressive to the pragmatic. Some state and federal legislation seeks a harsher criminal justice system response, whether it's increasing penalties for fentanyl trafficking or charging hapless drug sharers with murder if the person they shared with dies. In other cases, the opioid epidemic has emboldened harm reduction-based policies, such as the calls for safe injection sites in cities such as Denver, New York, Philadelphia, San Francisco, and Seattle. Just a couple of hours up the road from Seattle, Vancouver, British Columbia, has been grappling with the same wave of opioid addiction and now, the arrival of fentanyl. And it has arrived with a real wallop: According to the British Columbia Coroner’s Service, fentanyl was implicated in 85 percent of overdose deaths in the province last year, up from only four percent just six years earlier. And with the arrival of fentanyl and, in 2016, its cousin, carfentanil, overdose deaths in B.C. jumped more than four-fold in that same period, from 333 in 2012 to 1,489 in 2018. But while American cities are just now moving toward opening safe injection sites, Vancouver has had them for years, part of the city’s embrace of the progressive Four Pillars strategy—prevention, treatment, harm reduction, and enforcement—of dealing with problems around drug misuse and addiction. In fact, more than a dozen safe injection sites are now operating in the city, as well as a couple of programs that involve providing pharmaceutical grade heroin or other opioids to hard-core addicts who have proven unamenable to traditional forms of treatment. Such harm reduction programs have not prevented all overdose deaths, but they have radically reduced the toll. B.C. Chief Coroner Lisa Lapointe has estimated that without those programs, B.C. would have seen triple the number of fatal overdoses. Vancouver has been on the cutting edge of progressive drug policy reforms for the past 20 years, and now, faced with the fentanyl crisis, some researchers are proposing a radical next step: heroin buyers’ clubs. In a report published last week, the B.C. Center on Substance Use, which has strong ties to the provincial government, called for the clubs as part of a broader plan for "legally regulated heroin sales in B.C." to protect users from fentanyl-adulterated heroin and cut the profits of organized crime. The proposal "is inspired by cannabis compassion clubs and buyers' clubs, both of which emerged in the 1980s and 1990s in response to the AIDS epidemic," the authors note. "The compassion or buyers' club would function as a cooperative (or ‘co-op’), as an autonomous and democratic enterprise owned and operated by its members," the report explains. "A member-driven purchasing cooperative is an arrangement among businesses or individuals whereby members agree to aggregate their demand in order to purchase a certain product at a lower price from a supplier," it continues. "By aggregating their purchase orders and relevant resources, members are able to take advantage of volume discounts, price protection, shared storage and distribution facilities and costs, and other economies of scale to reduce their overall purchasing costs." It wouldn't exactly be the Dallas Buyers Club, the 2013 film that portrayed unorthodox methods of obtaining AIDS medications in the 1980s. There would be some structure: To be accepted into the club, people addicted to opioids would have to undergo a medical evaluation, and once admitted to the club, they would still have to buy their own heroin, but with many advantages over buying black market dope. The main advantage would be that they would be receiving pure, pharmaceutical grade heroin (known as diacetylmorphine in countries where it is part of the pharmacopeia)—not an unknown substance that is likely to contain fentanyl. Club members could inject the drug at a designated location—the report suggests that existing safe injection sites could be used—or take small amounts of the drug with them for consumption at home. The report also calls for each club to include related services, such as overdose response training, access to the opioid overdose reversal drug naloxone, and options for members to access social services such as detox, rehab, and other treatment options. Not only could buyers' clubs create a safer, cheaper heroin-using experience for members, the report argues, but they could also erode the black market and its tendency to produce more potent drugs—the so-called Iron Law of Prohibition. "Fentanyl adulteration in the illicit drug supply is a predictable unintended consequence of drug prohibition," the report concludes. "The same forces that pushed the market away from relatively bulky opium towards heroin, a more concentrated opioid that was easier to transport clandestinely, have continued to push the opioid market to increasingly potent synthetic opioids, including a range of fentanyl analogs. A cooperative could undermine the illegal market wherever it is set up." Such a plan faces legal and political challenges in Canada, but those can be overcome if the provincial and federal governments get on board. Obstacles to such a plan being rolled out in the United States are even greater, especially given an administration hostile toward harm reduction in general that would most likely view legal heroin sales as anathema. But here in the U.S., we're a decade or so behind Vancouver when it comes to progressive drug policies, so it's time to get the conversation started. After all, these sorts of approaches to the problem are likely to be more effective than throwing addicts in jail or building boondoggle border walls. February 24 is an important day. Two years ago, President Rodrigo Duterte of the Philippines unjustly imprisoned Senator Leila de Lima, who had dared to challenge Duterte for his drug war killings, which now may number as many as 28,000. Today, not only is de Lima still behind bars, Duterte's trying to jail another senator as well a newspaper publisher. He's promising to make the drug war even more deadly during the remaining three years of his term. And he's withdrawn the Philippines from the International Criminal Court treaty – but that won't stop him from one day facing justice for the crimes he's already committed. This February 24 (this Sunday), we will call again for Senator de Lima's release. And we announce the launching of "Stand with Human Rights and Democracy: Global Campaign for the Philippines," a worldwide partnership to address this human rights crisis. Join us if you can in Washington, DC, 4:00-5:00pm on Sunday February 24, for our protest at the Embassy of the Philippines, 1600 Massachusetts Ave. NW. When we protested there a year ago, the video went viral in the Philippines, sending the message that the world is watching. Please RSVP on our Event page, to let your friends know and to encourage others to join us. Click here to read about that action and watch the video. Along with the oversized Duterte and de Lima masks used in our street theater last year, we've added two new figures, Rappler publisher Maria Ressa (a TIME Person of the Year) and Senator Antonio Trillanes. It's going to be a good show, and we need your help. Whether you can join us or not, please spread the word on social media. Click here for a folder of images with sample text to post. And if you want to do more to protest this, check out our protest action resources kit too. February 24 is important. The loss of life in Duterte's drug war is bad enough, but the brazenness with which he's doing this is having international ramifications. The killings have spread to some countries already, and it's affecting the climate in more. Other human rights violations are on the rise in the Philippines too. Meanwhile, the Kremlin disinformation machine is supporting and campaigning for Duterte, in the Philippines and internationally. If a dictatorship gets established in the Philippines, there's no telling how far the killings could go. That's why we're asking you to stand with human rights and democracy, and with our allies in the Philippines working for justice and a better drug policy. The Philippines president vows even harsher drug war, the Mexican Senate approves a new national guard to fight drug crime, a Florida bill would end mandatory minimum drug sentences, and more. Missouri Bill to End Civil Asset Forfeiture Advances. The House Judiciary Committee has approved HB 444, which would bar law enforcement from confiscating assets from someone unless and until that person is convicted of a criminal offense. The bill now heads to the House floor. Florida Criminal Justice Reform Bill Would End Mandatory Minimums. A sweeping criminal justice reform bill that includes ending mandatory minimum sentences for drug offenses has been introduced in the Senate. SB 642, the Florida First Step Act must get past the Senate Appropriations Committee and the Senate Criminal Justice Committee before heading for a Senate floor vote. British Columbia Plan for "Heroin Buyers Club" Unveiled. The BC Center of Substance Abuse Thursday unveiled a plan to create a heroin buyers club to sell pure, regulated heroin to people addicted to opioids. The cooperative group would buy bulk medical grade heroin from Switzerland to sell to doctor-assessed club members. The plan is part of the effort to stem overdoses in Vancouver. Informal heroin buyers clubs are reportedly already operating in the city, but their supplies are iffy. Mexican Senate Approves Plan for New National Guard to Fight Crime, Drugs. The Senate on Thursday approved President Andres Manuel Lopez Obrador’s plan to create a new national guard, a key part of the government’s strategy to address drug gang violence. But the Senate amended the legislation to ensure that the new security force is headed by civilians, not the military, which has been linked to numerous human rights violations. Philippines President Vows "Harsher" Drug War in Coming Days. President Rodrigo Duterte vowed to ramp up his bloody anti-drug campaign in a speech Wednesday. The war on drugs will be "harsher in the days to come," he said. When asked by reporters if the crackdown would be even bloodier, he said: "I think so." 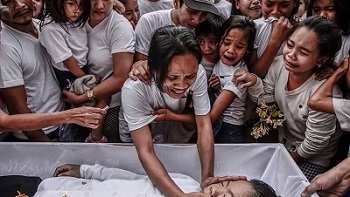 The remarks were condemned by the Philippine Commission on Human Rights: "With thousands that have already been killed because of this campaign, ‘harsh’ is an understatement and a trivialization of the lives that were lost—it is irreversible and the suffering of families of victims can be lifelong," Jacqueline De Guia, CHR spokesperson, said. "To say that it will be ‘harsher’ insults the victims and their families while the drug trade has not seemingly waned." Thai King Signs Decree Legalizing Medical Marijuana and Kratom. Thai King Maha Vajiralongkorn has signed a royal decree formalizing the legalization of medical marijuana and kratom. The move comes some two months after the military government’s parliament unanimously approved it.